A Squib is the non-magical offspring of magical parents. Argus Filch, the Caretaker of Hogwarts Castle is a Squib. With his beloved cat he tends to the needs of the Castle and its inhabitants, surrounded by young witches and wizards. Unfortunately, Mr Filch is not fond of children. This series relates a (now AU) “Harry Potter’s fifth year”, in four volumes. 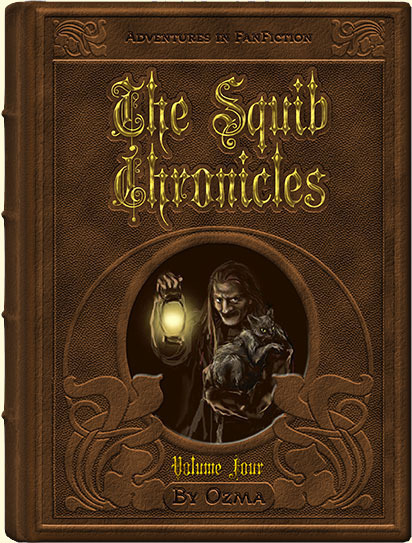 Volume 4: Containing; ‘Squib Caretaker’ and ‘Squib Summer’.